Going to buy a used car? You may want to take a vacation in Miami, FL. At least that would be the case if you went shopping recently for a 2014 Ford Escape Titanium with six-speed, automatic transmission, four-wheel drive and about 30,000 miles. Besides Miami, FL, population 400,000-plus, we shopped online at Cars.com for vehicles in Miami, OH, with a population of a little more than 100,000, and Miami, OK, population about 14,000, to see where we would find the best deal on similarly equipped Ford Escapes. And where was that? The most-affordable, high-end price we found matching our specifications for the compact sports utility vehicle was $19,891 in Florida, considerably less than the high side of Kelley Blue Book’s national average range, about $2,100 less than in Oklahoma and $3,500 less than in Ohio. Price ranges varied as well, with 2014 models available for a low as $14,999 in Florida, lower than KBB’s national average pricing, about $1,000 less than Ohio pricing and almost $3,000 less than in Oklahoma. So why were prices seemingly all over the map – besides the obvious geographical factor? “It’s all based on the market and market data,” Alec Gutierrez of Kelley Blue Book told U.S. News. That at least partly explains why the median price of the Escape in the smallest, most remote market of the three (Oklahoma) is highest, while the median price in the largest market (Florida) is lowest. A CarGurus.com study reported by CNBC shows that the price of used cars can range more than 20 percent between East (Miami, FL) and West (Reno, NV). The study showed that prices generally are lower in Florida, the Northeast, Upper Midwest, Texas, Oklahoma and Utah, and higher from the Mid-Atlantic Coast through most of the South, Central, Southwest and Western United States. “The findings show trends in regional economics, and potential opportunities for well-planned ‘carbitrage’,” wrote Nicholas Wells in The regional variation of used-car prices at CNBC.com. For example, a motivated shopper from a northern suburb of Dallas could look for an Escape in Edmond, OK, just north of Oklahoma City, where our example vehicle sold for about $3,500 less. Of course, many factors figure into the price of an individual car – condition, options, mileage, whether it can be sold as a certified used car by a franchise new-car dealer, according to U.S. News. And dealers will mark it up to cover the cost of reconditioning the vehicle, marketing it, profit and negotiating room. 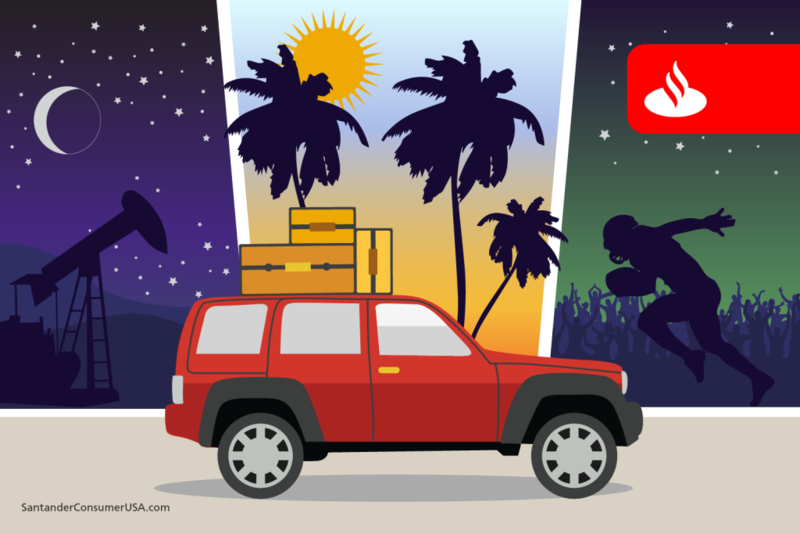 But those factors are true no matter where you buy your vehicle, so you may consider traveling to Miami (Florida) or Edmond for that car-shopping vacation.